Recently the Ode Street Tribune led all other news sources in breaking a story about flowers blooming next to the Rt. 50 entrance ramp to Rosslyn. The Tribune identified the flowers as wild tulips. They are actually planted daffodils. In today's hyper-competitive news industry, the rush to break stories sometimes leads to mistakes. The Tribune apologizes for its mistake and thanks well-informed readers for their contributions to identifying the flowers. Further investigation has revealed that many years ago the Virginia Dept. of Transportation planted flowers in rights-of-ways. Daffodils are perennial bulbs that can last a long time. Another planting of daffodils exists along the Mt. Vernon Trail just north of Memorial Bridge. 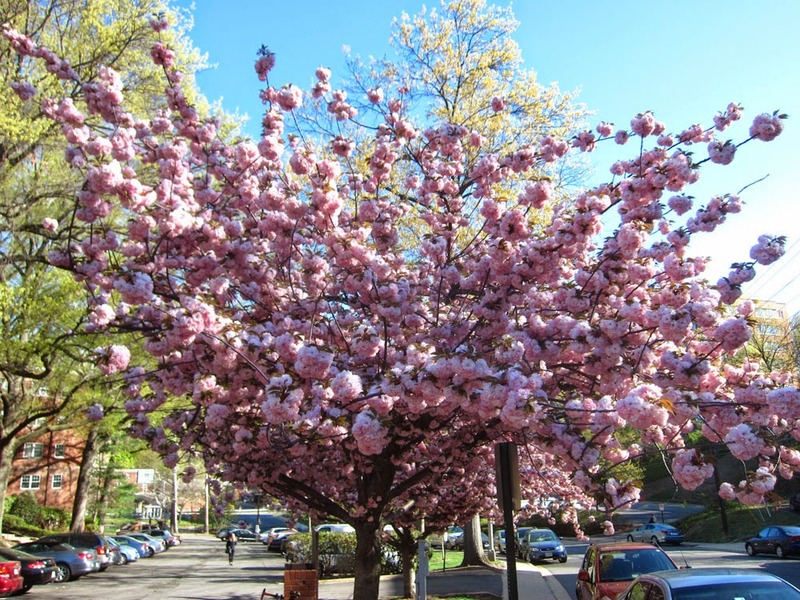 In further flower news, trees with spectacular pink flowers are currently decorating the sidewalk next to the historically important Westmoreland Terrace condominiums. The Tribune's investigative reporter asked the Arlington County Forester. He provided the relevant information.